Quentin Tarantino’s inaugural movie Reservoir Dogs was nominated for the Sundance Grand Jury Prize Dramatic category in 1992 and in the words of Terry Gilliam, Quentin has been an “unstoppable force” ever since. Reservoir Dogs opens in a greasy spoon cafeteria with a characterstically interesting exchange between the main characters of the film. We get an insight into their importance, their stature and their comraderie as the stylish 360 shot revolves around the table and exposes Americana in all its glory. We get sucked into the conversation as recurring themes are revealed to us for the first time and Tarantino himself features with an explanation of Madonna’s ‘Like a Virgin’. We hear Nice Guy Eddie mention ‘K-Billy’s Super Sound of the Seventies’ a radio show that plays a central role in the progression of the movie which produces a killer soundtrack that propels the film forward. It’s pivotal in setting the scene and also in uniting this group of professional criminals who agree to pull a robbery as strangers. No ties and no names. Mr. Brown. Mr. White. Mr. Blonde. Mr.Blue. Mr. Orange. Mr. Pink. These are the assigned aliases, assigned by Joe Calbot the choreographer of this job. The job they are supposed to pull consists of robbing a jewellery store for a shipment of polished diamonds. Nothing else is to be stolen or tampered with. A reasonably straight forward job that hits an unforeseen roadblock. Nobody expected an undercover cop to be in their midst and a battle of wit, nerves and trust soon ensues that tests the character of each and every colour. Tarantino oozes cool in his writing and everything flows meticiculously in Reservoir Dogs. A prime example would be the long tracking shot of Mr. Blonde during the famous Stealers Wheel scene as we follow him out of the warehouse to his car and back in again as the soundtrack drums on in the background. The originality in Tarantino’s film making sets Dogs apart from his later films primarily because it set the benchmark and introduced so many of his famous trademarks. The black suits, memorable soundtrack, 360 shots, tracking shots and of course the mexican stand-offs. At the time of release it would have been difficult to argue that the individual character stories of Mr. White, Mr. Blonde, and Mr. Orange were anything but clever plot devices. They have the power to change the pace of the film momentarily and then bring everything crashing back to earth. Having now spent twenty years perfecting his craft Tarantino revealed a piece of himself in each tangent, his passion, dedication and commitment to his direction and writing is evident throughout and it is clear Reservoir Dogs was his own vision. No other director could have picked up the script and made Dogs what it is. Each tangent was an opportunity to test his ability and make the film his own. He writes entire anecdotes when most film makers would have taken the shortcut of just expecting the audience to accept something has happened. It’s almost as if Tarantino has made the film with these questions in mind. How does he know him? He doesn’t sidetrack the question or palm it off with a one line answer he takes pride in his work and every scene is a chance to prove himself to his doubters. But ultimately it was about making the film his own and letting his work do the talking. If people didn’t like it, so be it. I’m sure there were people out there that didn’t immediately agree with the strong language or at times the invasive violence but it didn’t stop him making Pulp Fiction and going on to become one of the greatest film makers of our time. 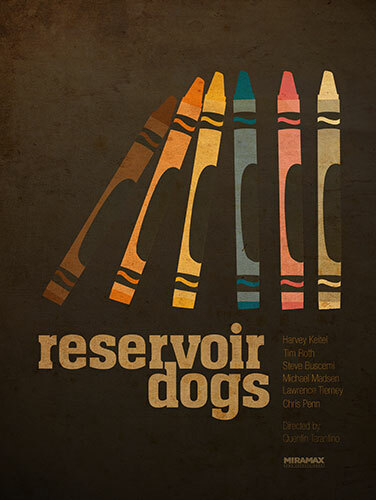 If you are yet to see Reservoir Dogs, or haven’t seen it for a long time then it is definitely worth dusting of your DVD and settling in for 90 minutes of Tarantino at his best and rawest because this Must-see deserves your attention.